Douglas Salt spoke at the Blockchain Venture Summit, London. Renowned real estate businessman Douglas Salt, director at Frank Salt Real Estate, attended the exclusive Blockchain Venture Summit which was held at Trafalgar Square in London, UK. He was invited to speak on a panel with Birol Ergüven (Limak Energy Group), and Francesco Boni Guinicelli (Artsquare). The discussion, entitled ‘Disrupting traditional industries with blockchain’, was moderated by Arda Kutsal (Webrazzi). The Blockchain Venture Summit, which was organised by Webrazzi – a leading digital technology stakeholder and organiser of several international conferences and summits for e-commerce, mobile, digital, financial services and entrepreneurship, hosted 20 speakers and an elite selection of 500 participants. The day-long gathering covered topics in relation to Security Token Offering (STO) and Initial Coin Offering (ICO), growth of the crypto code, the impact of tokenisation, crypto currency market data, hedge funds and ecosystems, mining, blockchain applications, corporate venturing, and technology disruption. Frank Salt Real Estate has been established for 50 years and, through these past five decades, has always strived to keep abreast with, and adopt, new technologies which it believes has firmly kept the company in its longstanding position as the local, real estate industry leader. 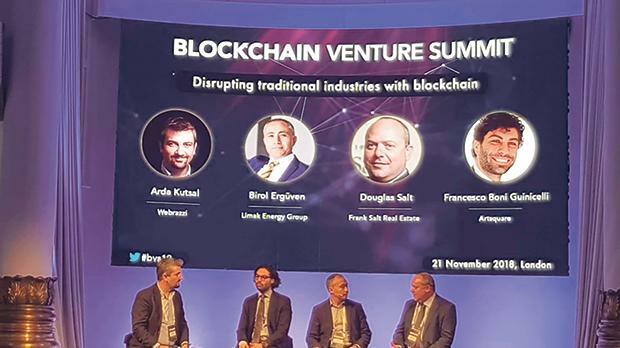 Following the Summit, Mr Salt said: “It was a pleasure to be invited to speak at this prestigious event where I had the opportunity to represent Frank Salt Real Estate and also Malta as a jurisdiction that is seen as a rising star for established and start up Blockchain companies seeking to relocate in top notch locations. Mr Salt is a shareholder and director of Frank Salt Real Estate Limited. He has been actively involved in the real estate sector in sales and management for almost 30 years, and is a member of several, local, industry-related associations.